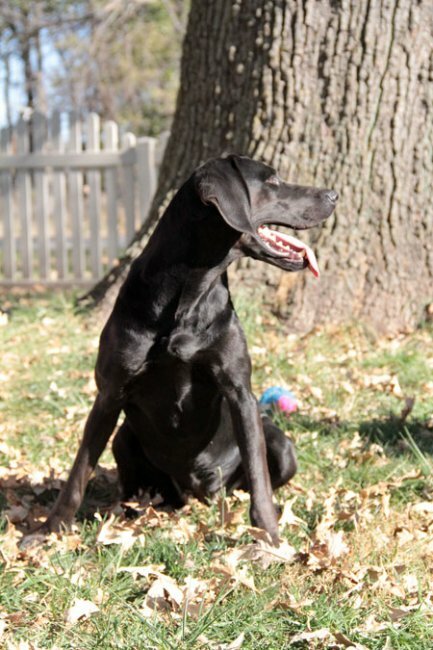 Now living happily in Bellevue, Nebraska. 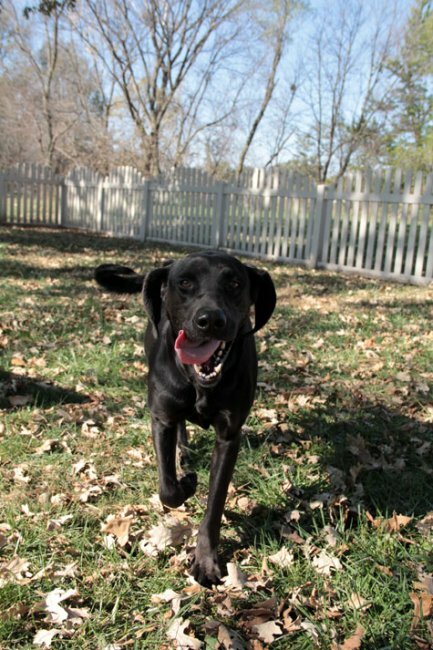 Mandy Lab was yet another victim of the horrendous floods in Iowa. 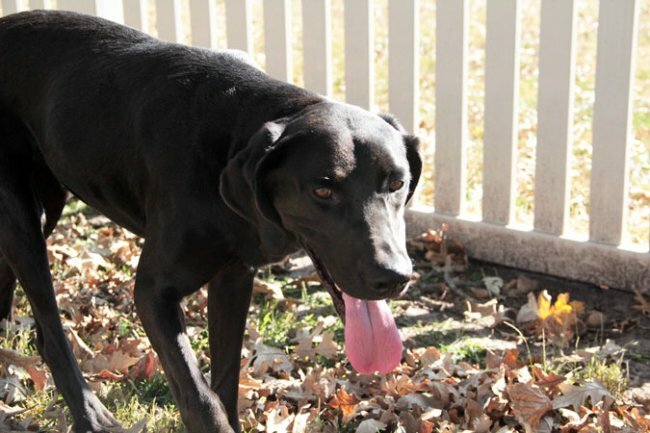 We found her wandering around the town of Hamburg, looking for her home and family. 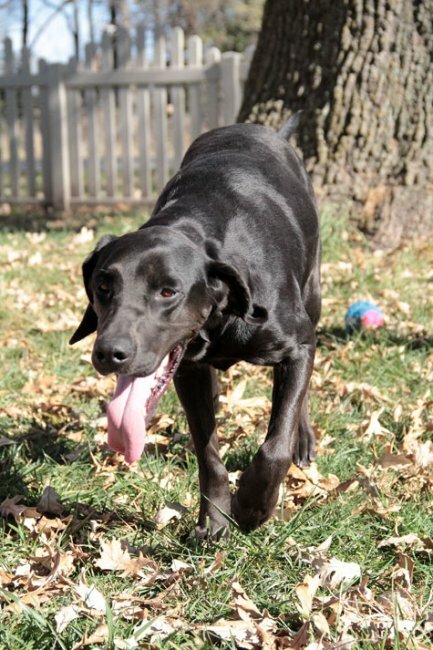 We were happy to help this bouncy girl and laughed as she bounded into the HUA, relieved to be found and excited for a new adventure. 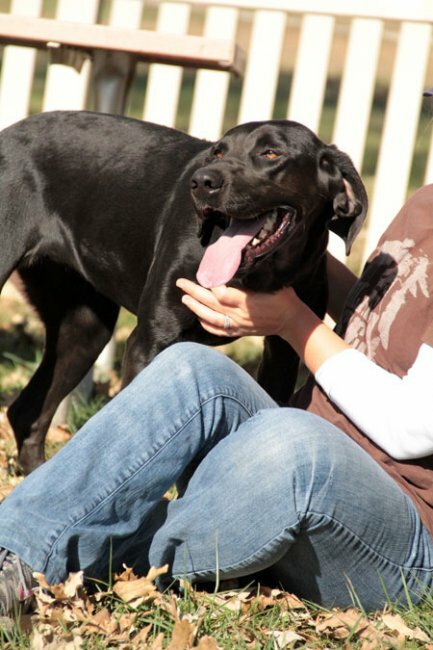 Mandy is a happy, out-going, friendly beauty with a shiny coat and gorgeous brown eyes. 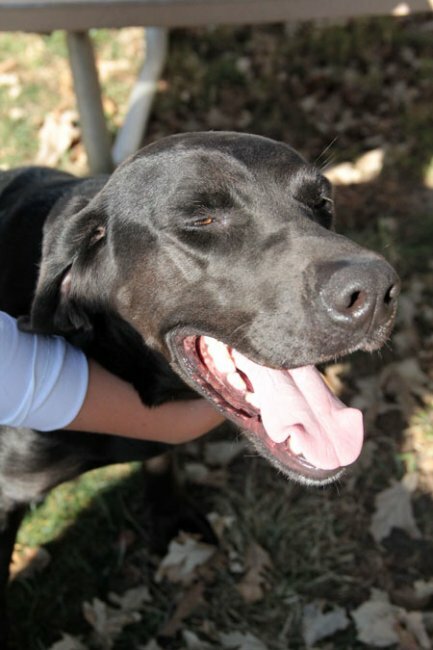 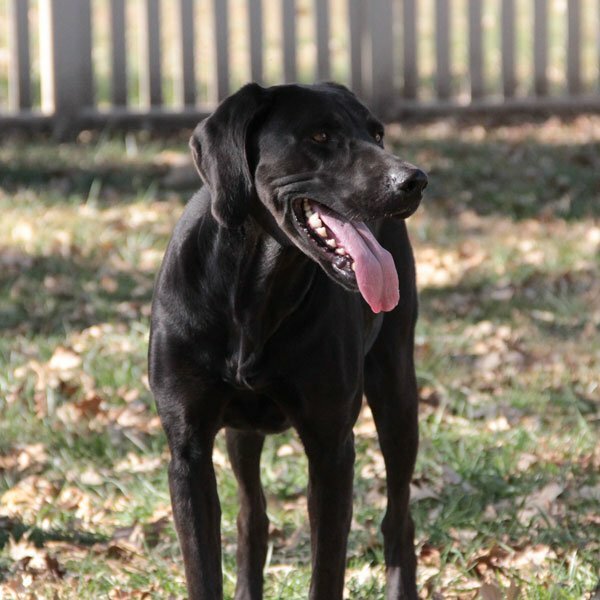 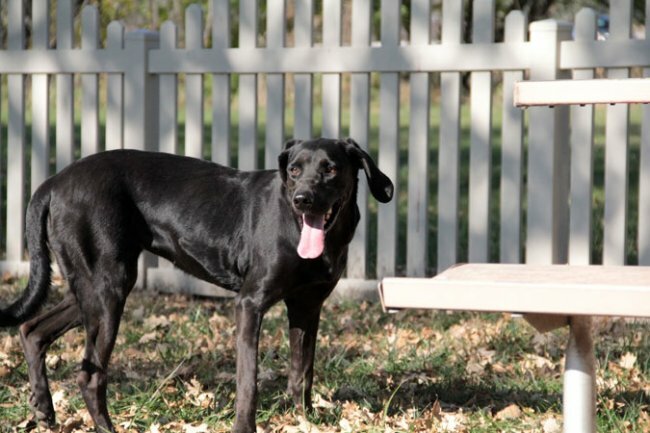 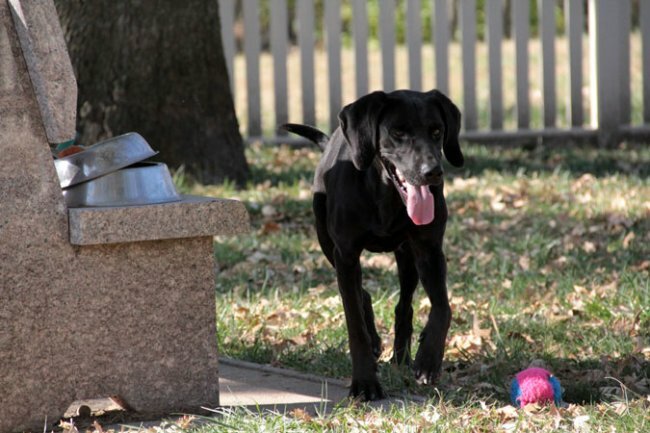 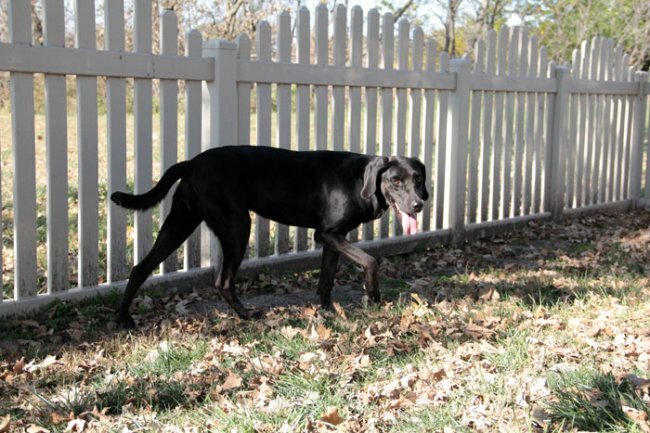 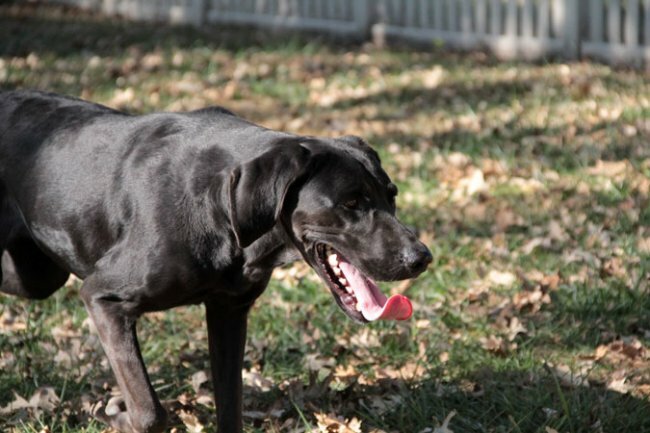 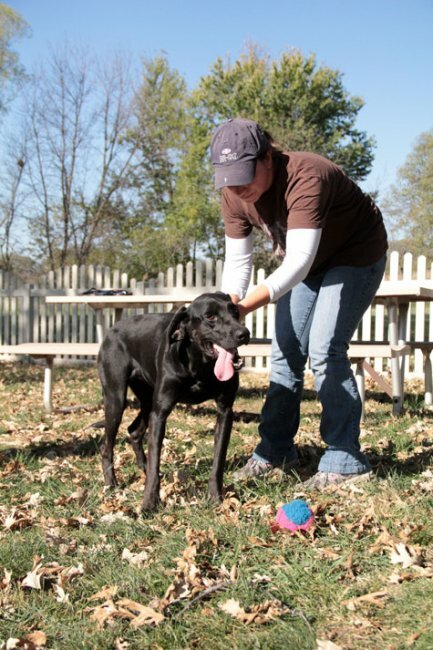 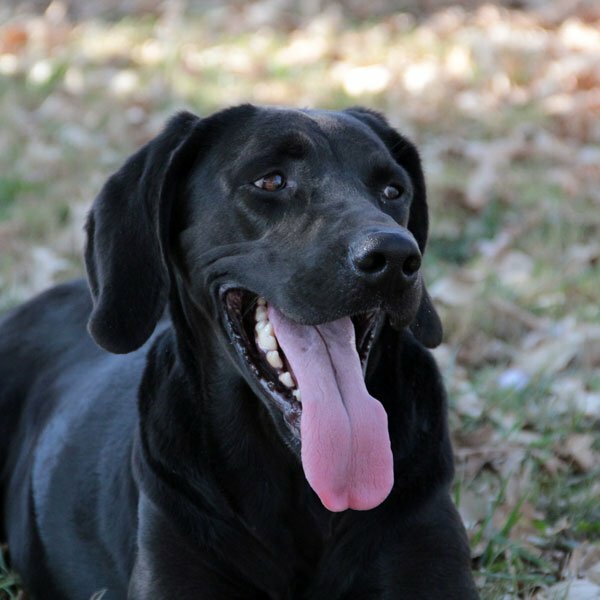 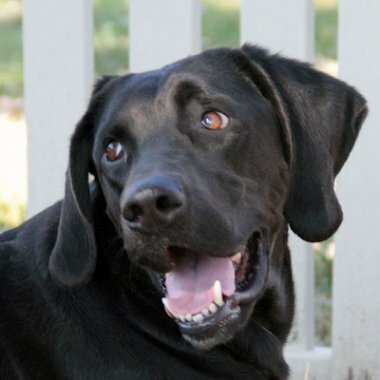 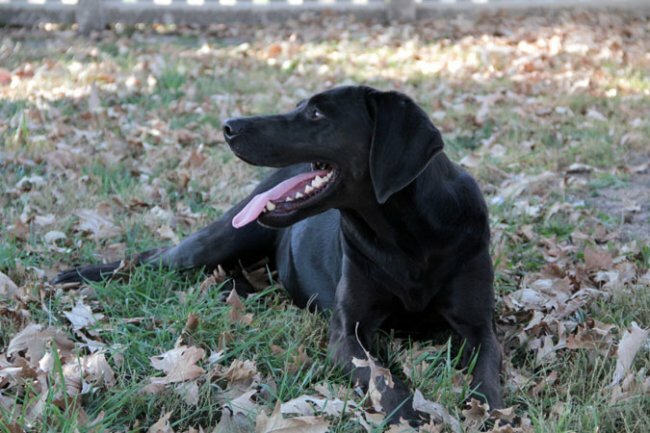 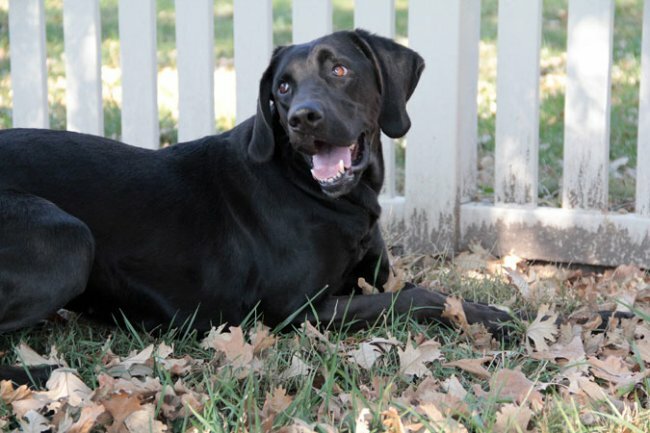 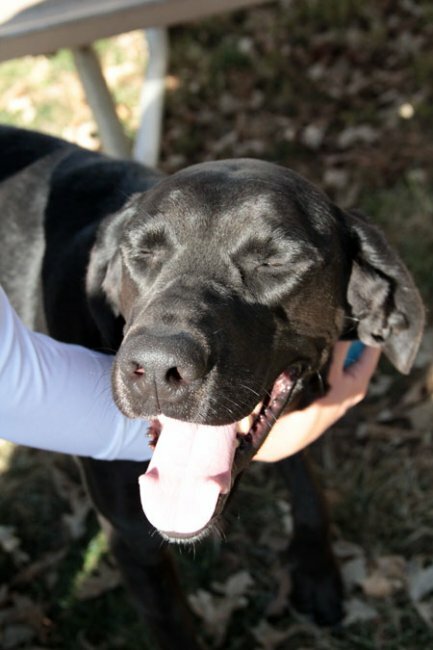 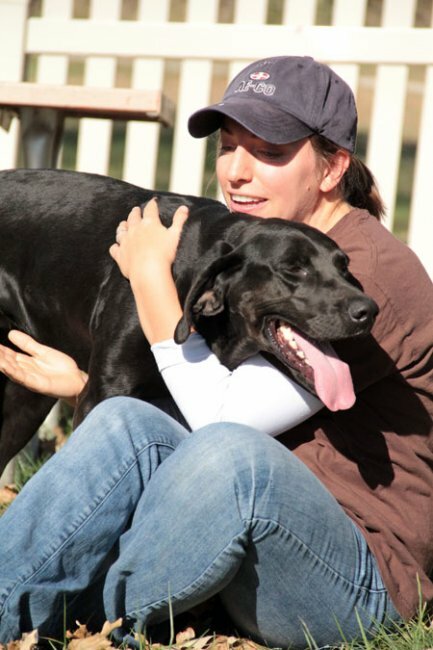 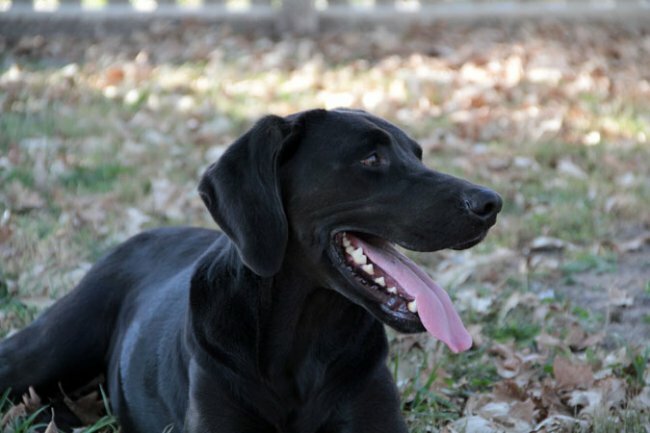 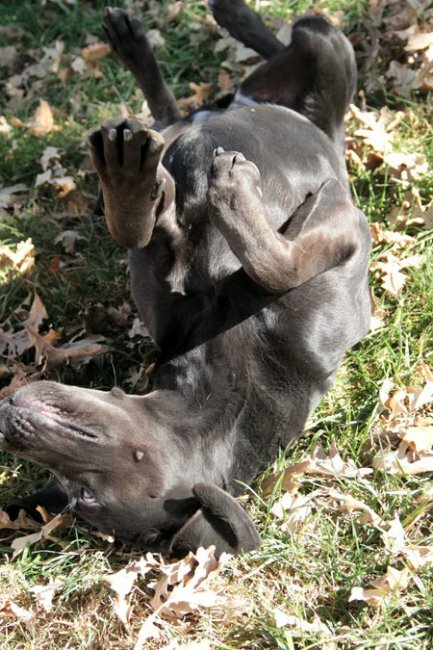 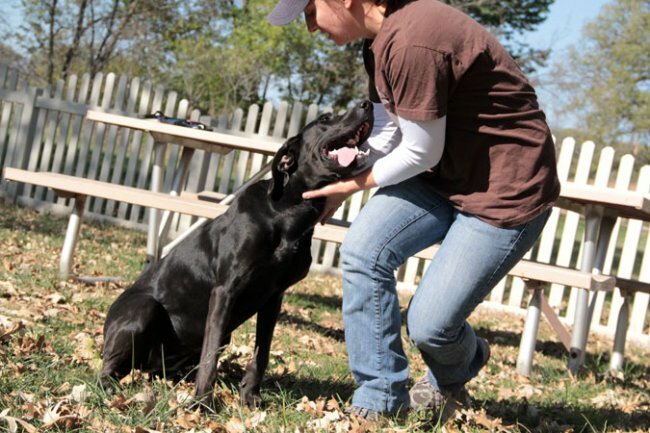 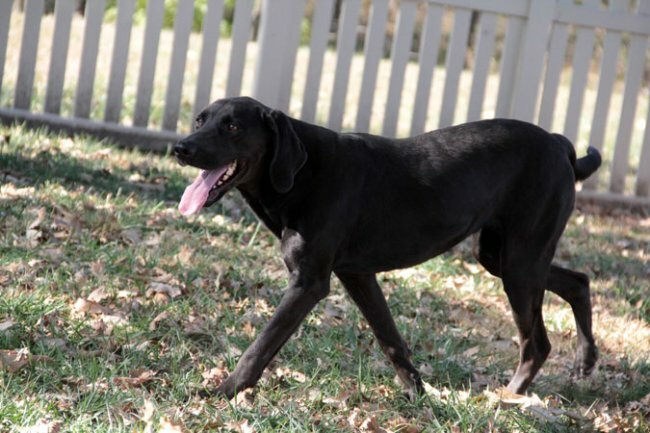 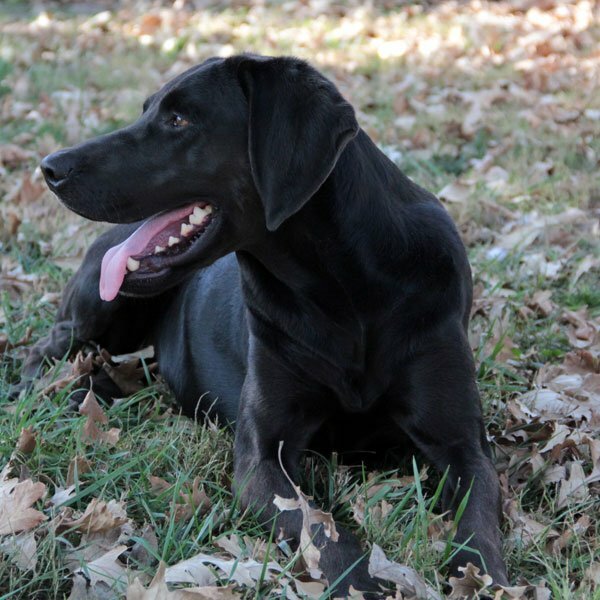 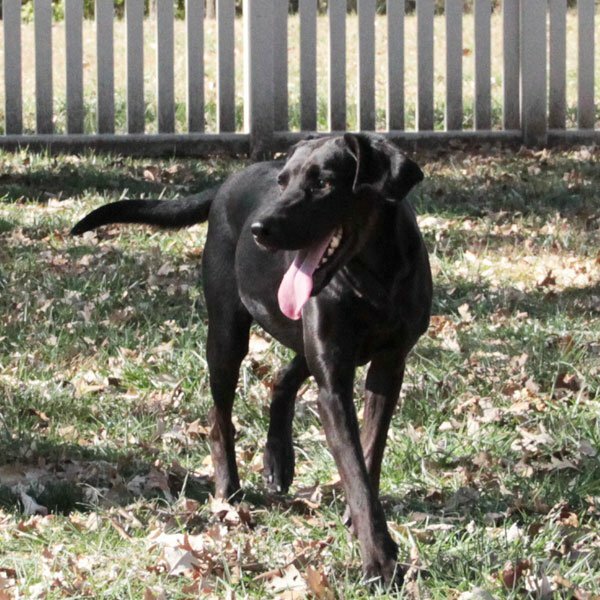 She is playful and endearing, with a "just right" evergy level for a Lab. 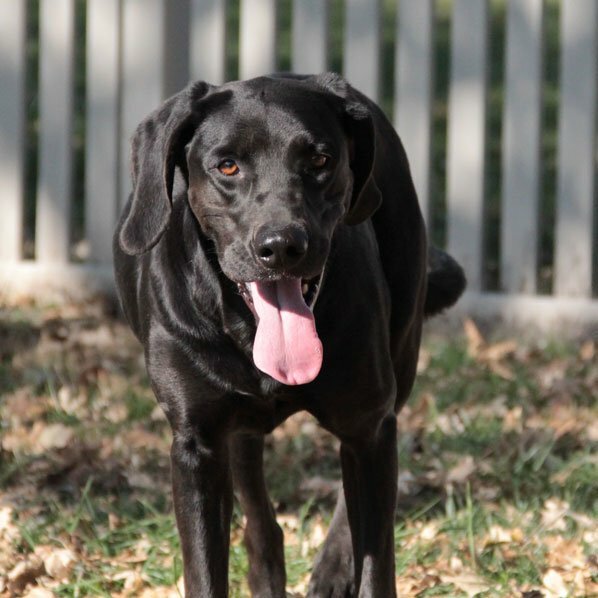 She's a player and a snuggler and will be the perfect addition to an active family that will take her to fun places and teach her great tricks.